A.O. Smith is a multinational Company employing about 13,500 people across the globe. Their annual sales in 2016 were almost $3 billion (approximately 20,000 crores). 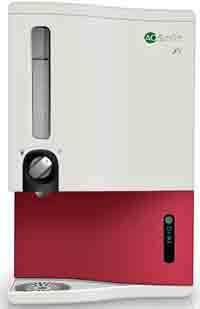 AO Smith is huge in the USA and is very famous there for their water heaters. AO Smith's entry into the water purifier business is relatively recent. 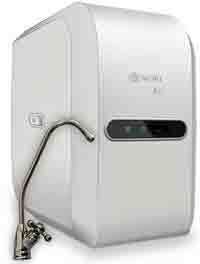 They have significant operations in China, and their water purifiers in China are famous. 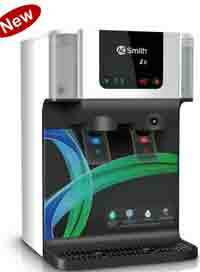 AO Smith has introduced into the Indian market some unique water purifiers. 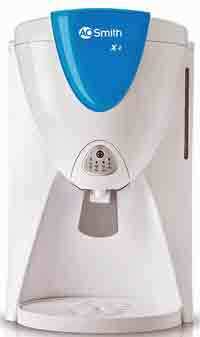 They are the first in India to offer small home RO water purifier with hot and cold water dispenser. This is very useful to make a quick cup of coffee, tea, or instant noodles or make baby food. Main purifier body stays hidden under the counter with only Gooseneck swivel faucet visible next to the sink. 5-stage purification technology with silver activated post carbon and 100% RO purified water without using any reject RO water to control TDS RO purified water. This will prevent poison heavy metals getting into drinking water. WQA certified to NSF/ANSI 58. Patented Side Stream Membrane (SSM). In SSM RO membrane water flows from the side which results in more effecient use of RO Membrane to reduce water wastage and better rejection of impurities. 5 stage purification technology with RO+SCMT (Silver Charge Membrane Technology). SCMT additional purification stage which stops secondary microbial contamination after RO purification. 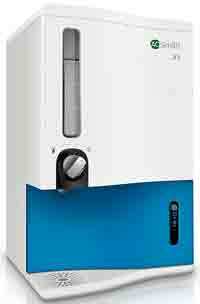 Min-Tech mineraliser cartridge to add purified essential minerals to RO water and 100% RO purified water. No mixing reject RO water to control TDS of purified RO water, which can add poison chemicals like Arsenic and heavy metals into the drinking water. 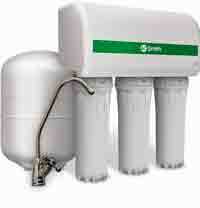 Can purify water with up to 2000 ppm TDS. Less wastage of RO reject water. WQA certified patented Side Stream Membrane (SSM). In SSM RO membrane water flows from the side which results in more effecient use of RO Membrane to reduce water wastage and better rejection of impurities. LED indicator warning when time for RO membrane or other filter change.